Instead of asking what cloud means to you, think about what cloud means to your customers: self-service, flexible, efficient, and reliable shared infrastructure serving up on demand services with a clearly defined cost structure. Understanding your customers and these expectations are key in understanding how to deliver on them. 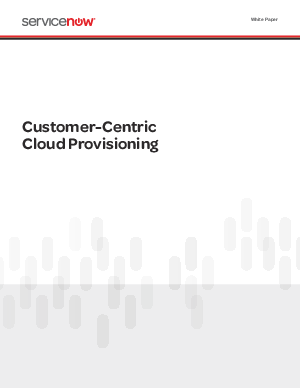 This document discusses how self-service cloud provisioning can serve as a pragmatic customer-centric approach for managing the proliferation of public and private clouds. It discusses customer expectations, critical success factors, and key metrics required for a successful implementation of such an offering.